The red-brick embassy building with white window frames and balconies was quiet, though a few protesters gathered outside. 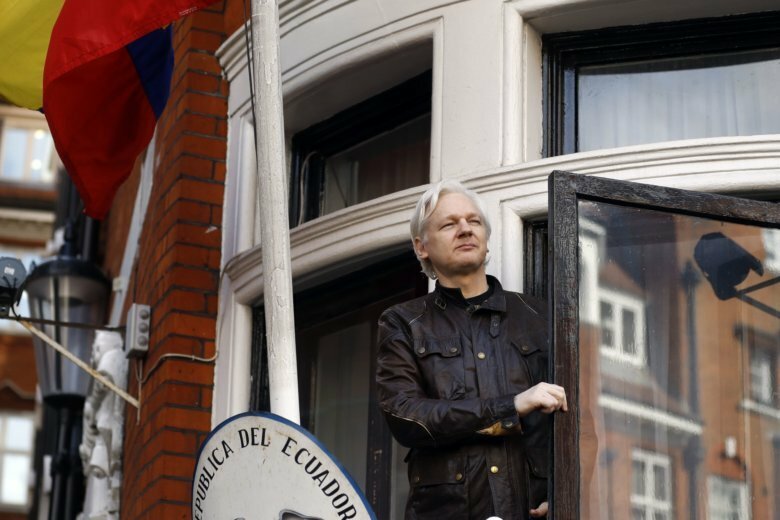 No embassy official commented on the WikiLeaks founder’s status, while British Foreign Secretary Jeremy Hunt said Assange is a “free man” and can leave the embassy whenever he chooses. On Friday morning, a van appeared outside the building showing a placard that said “Free Speech” and featured images of Assange and convicted classified document leaker Chelsea Manning. Police moved it on.